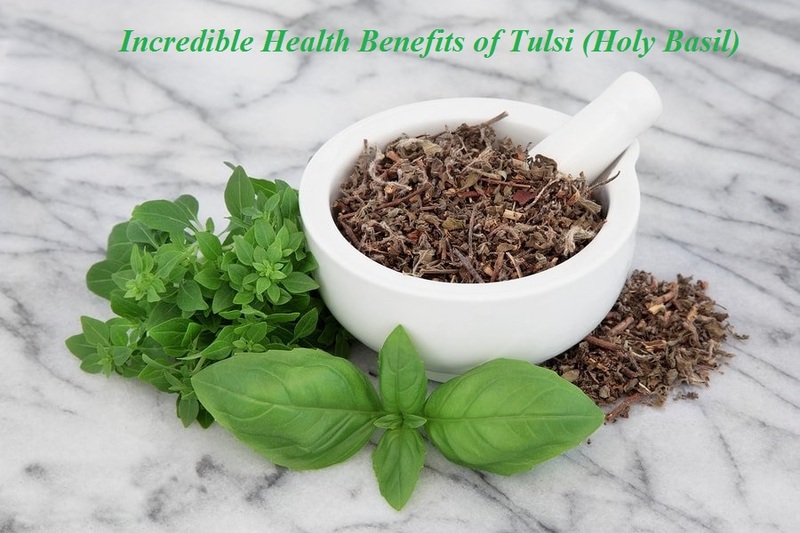 Are you aware that even holy basil (Tulsi) is Treasure of health benefits? Amazed? Yes, I was also astounded when I come to know about the hidden Benefits of Tulsi. I always thought that why people are doing such acts, like ‘Tulsi Poojan.’ I mean, who perform such things in the 21st century; But the fact is that they have hidden meaning and necessity in our life. But, how? Holy basil or usually called ‘Tulsi’ have therapeutic power in it. It is used to cure many diseases, which even allopathy can’t cure as it is the storehouse of various cures. 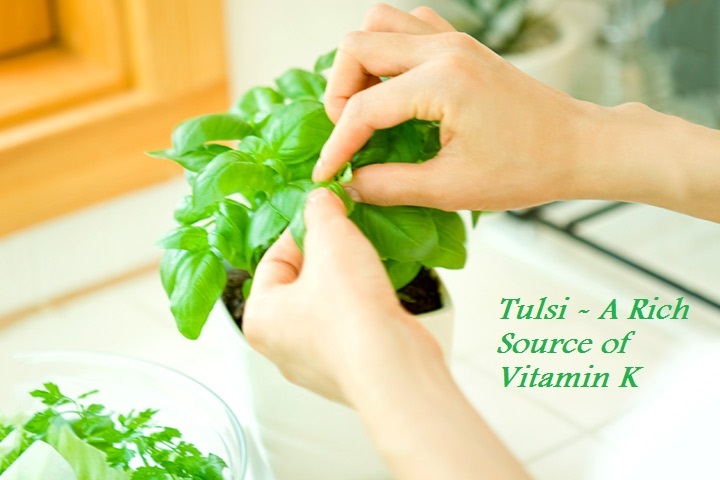 Have you ever wondered that going nigh to Tulsi has many benefits? 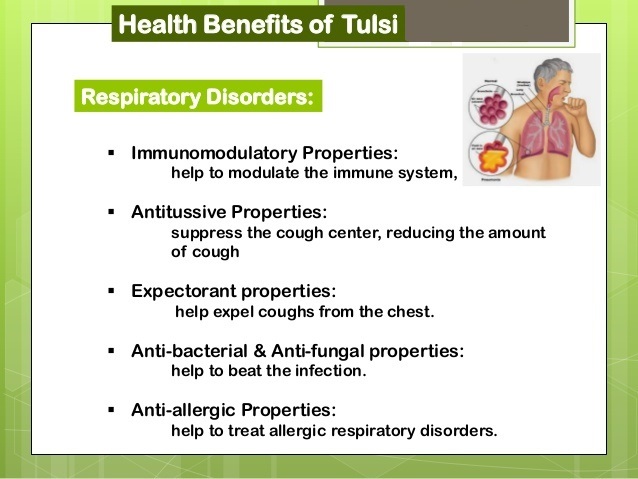 Do you know, that the air nearer to Tulsi is very clean and germs free? Whenever you visit near the tulsi, you inhale the fresh air, and this small step is very beneficial for health. Now be ready to know such amazing and shocking facts about Tulsi that why it is important for us. Is this possible that holy basil can cure our fever naturally, even without harming our bodies? The magical healing power comes in tulsi from the essential oils and phytonutrients present in it. Yes, it is possible. But the question arises, how? Holy basil performs splendid performance working as antibiotic, germicidal, fungicidal, and disinfectant. 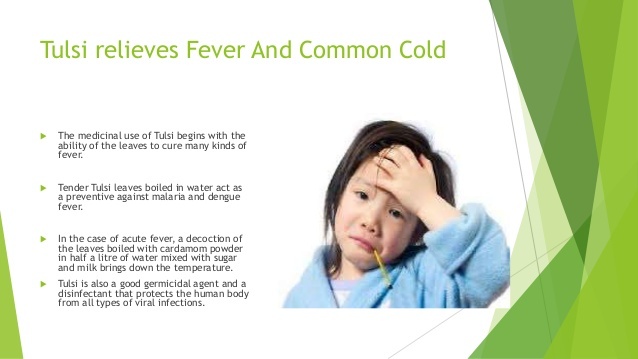 Protozoa, bacteria, virus, and allergic substances are the primary grounds of fever. Fever is not actually a malady in itself; it is just an indication that our body is combating the less visible infections. The splendid capabilities of Holy Basil as antibiotic, germicidal, fungicidal and disinfectant kill all the infections discussed above and cure the resulting fever. As we know in this changing modus Vivendi we are not strict to the proper and healthy diet. More than 50% of the population loves to eat fast food, which results in skin problems like acne. Use of harsh chemicals ruins our delicate skin. But have you ever thought that even without harming our skin we could cure the acne? Yes, this is possible with the help of Holy Basil. 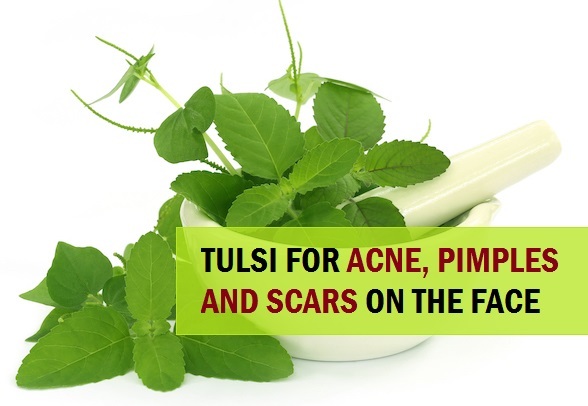 Tulsi helps in killing bacteria and infections, so it’s a superb home medicament for acne. The presence of vitamin C and A, phytonutrients and essential oils work superbly to cure acne and to regain the damages caused by the hazardous chemical substances. 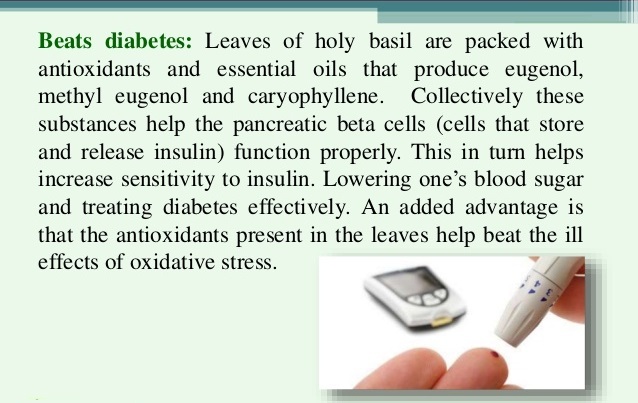 Well, there is good news for the patient with diabetes, that holy basil will help you to get rid of type-2 diabetes. But, how? The process is very simple. As we know that type-2 diabetes is caused due to less secretion of insulin in our body, Holy basil helps the pancreas to increase the amount of insulin. This lead to the reduction of the use of insulin injections and our diabetes is cured. Most of the heart diseases are due to increased cholesterol level in our body, which lead to diabetes, thyroid, and high blood pressure. 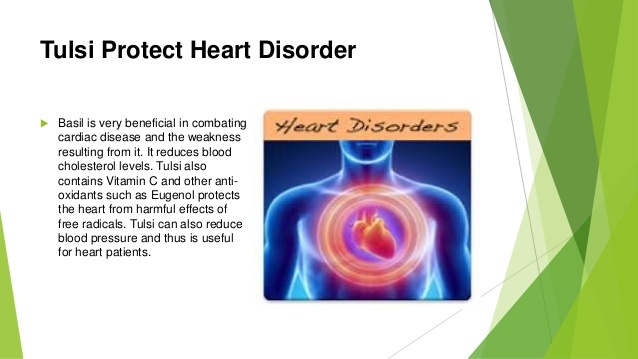 Tulsi reduces the cholesterol level and is helpful in getting rid of these problems. Tulsi is rich in vitamin C and other antioxidants like Eugenol, which shield the heart from the harmful effects of free radicals. Mastication of tulsi leaf every morning on an empty stomach can safeguard us from heart ailments. Can you imagine that holy basil can work as a sword for cancer? 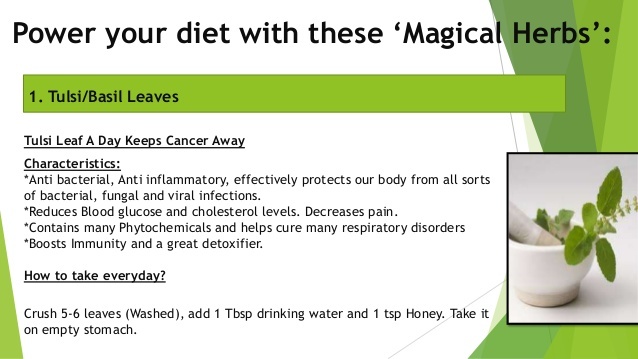 Yes, holy basil leaves not only work as a natural cancer treatment but also prevents from it. Cancer patients have to go through the radiation treatment, which highly affects our body. Tulsi leaves protect us from radiation poisoning and heals the damage caused by it. The phytochemicals present in holy basil prevent us from lung, liver, oral and skin cancer. The phytochemical increase the antioxidant activity which kills the cancer cells. This leads to the formation of healthy genes and growth of blood vessels, which leads to the formation of new cells and blockage of metastasis, that is the main reason for the spread of cancer. First of all, what is Vitamin k? Vitamin K is essential fat soluble, which play the significant role in bone health and heart health. Its key functions are bone mineralization and blood clotting, but it also helps to maintain good bone density, healthy metabolism, digestive & cellular health and brain function. If we consume one cup of basil leaves daily, we will never suffer from the deficiency of Vitamin K. Click here to know top 10 vitamin K rich foods. Camphene, Eugenol, and Cineole are found in the basil leaves. This provides relief from congestion and other respiratory disorders. Even the scientists certify that basil leaves contain anti-asthmatic properties, which makes breathing easier, that’s why Ayurveda usually recommends Tulsi for respiratory problems. Tulsi has the strength to battle with the bacteria present in our mouth, which cause dental issues like cavities, plaque, tartar and bad breath. Basil leaves act as a mouth freshener and kills the bacteria and germs present in our mouth. They also supportive in diminishing of ulcers present in the mouth, and oral cancer. 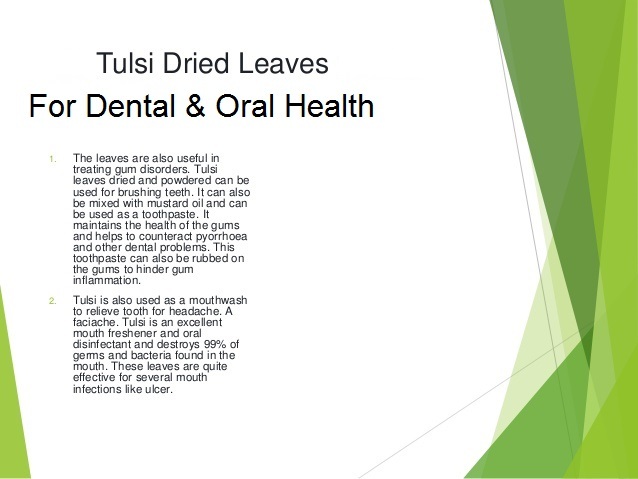 For long lasting solution from dental problems, add one drop of tulsi oil in your toothpaste before brushing. We often suffer from headaches. We often go for instant relief, and even we know that they have side effects on our body. But now we can relieve our headaches by using natural remedies. 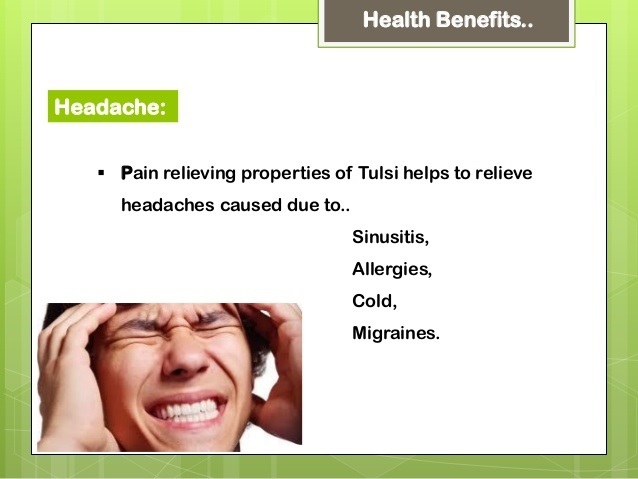 In Ayurveda, if you are suffering from headaches then you will be recommended to go for tulsi leaves, because of the presence of essential oils which helps to cure headaches naturally without harming our body. 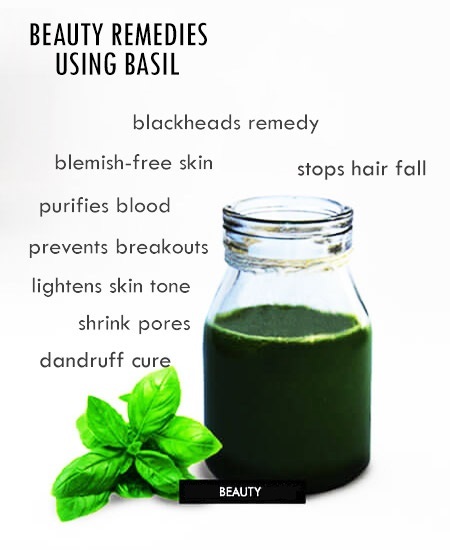 Holy basil is also very good for the people who are suffering from a migraine. They can go for one cup of tulsi tea, and after consumption, for some time, they will see the tremendous change in there migraine problem. Readout my another article to get rid of a Headache due to High Blood Pressure. Have you ever wonder that how good it is if you have a high-stress job, but your body is stress-free? It will be like magic if this will be possible. But it is possible, and the only condition is you have to chew 12 tulsi leaves twice a day. Then you will have a magical experience. You will not feel stressed out. 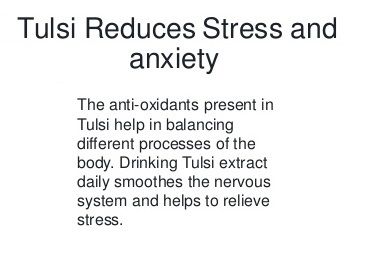 Tulsi is adorned with anti-stress agents, which calms the nerves and regulates blood circulation during stress. It also assists the body by managing stress and cortisol (steroid hormone) level. If we consume tulsi leaves with one bowl of curd, this will regulate new blood cells formed in the body, resulting in beautiful and younger skin. According to the recent report by WHO (World Health Organization), smoking kills more than 6 million people annually. According to the survey, there is the number of people who want to quit smoking, but they are not able to do so. So, here’s good news for them. Quitting smoking is not a big deal now. Tulsi will work as a support system for them. You just have to do a simple thing that is, keep some tulsi leaves with you. Whenever your body craves for tobacco, just chew some basil leaves. Basil leaves contain adaptogens which reduce stress and the craving for tobacco. 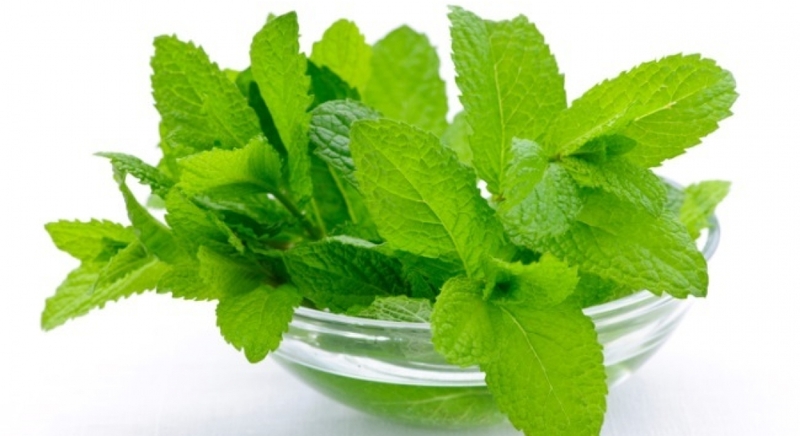 It will cool down your throat just like mint and helps in quit the smoking. 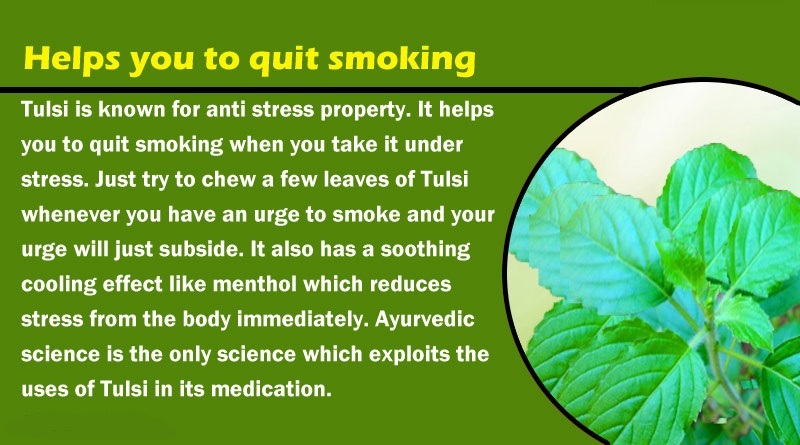 The best thing is that tulsi contain antioxidants which also heals the damage caused due to years of smoking. 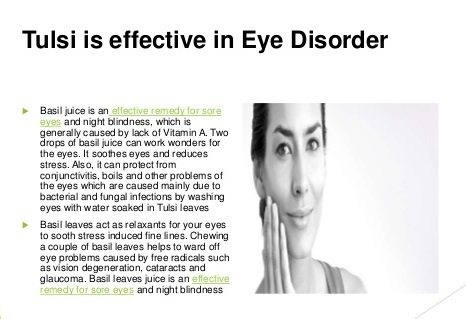 Glaucoma and macular degeneration are some major eye diseases, and these can be cured with the regular consumption of tulsi. Soak some leaves in one cup of water for overnight, then wash your eyes with that water. We can also dip cotton balls in it and then place them on our eyes. This will assuage your eyes and reduce the stress caused on eyes by the steady use of the computer. We all are tensed from insects and pests and the diseases caused by them like food poisoning, malaria, dengue and many allergies. We can get rid of all these sufferings with natural remedies. 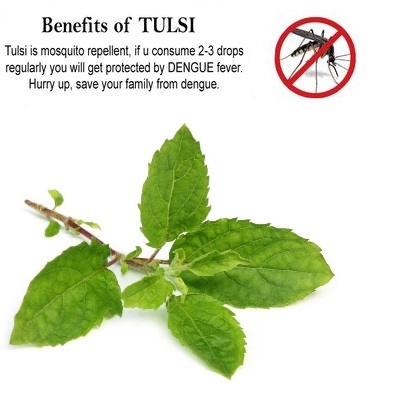 Tulsi is very rich in aroma, due to which all the disease-causing insects and pests hate it. This keeps all the insects and pests away. Keep holy basil at those places where you find these insects. Rama Tulsi is of green color and is very common. This type of tulsi is easily available. 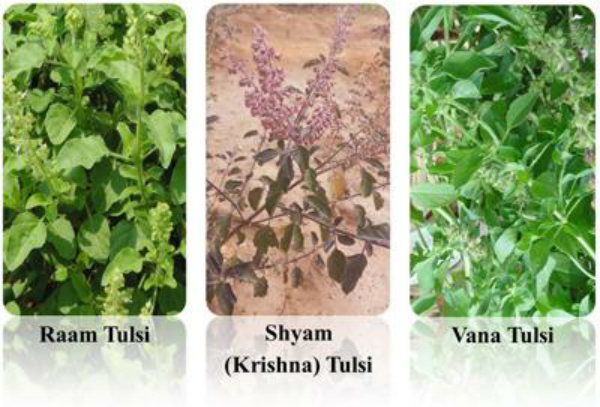 Krishna tulsi or Shyama tulsi have little darker stems, and this is also available commonly. Vana Tulsi is very rarely found. As the name suggests, this tulsi is only available in the forest of the Himalayan region and enrich in medicinal properties. Tulsi can be easily grown anywhere. Now, just grow holy basil in your house and keep yourself away from many diseases with just one holy plant.